Derbyshire certainly isn’t short on sporting talent but it is always good when that talent is recognized, more so when our sports persons attain recognition in their sporting field. 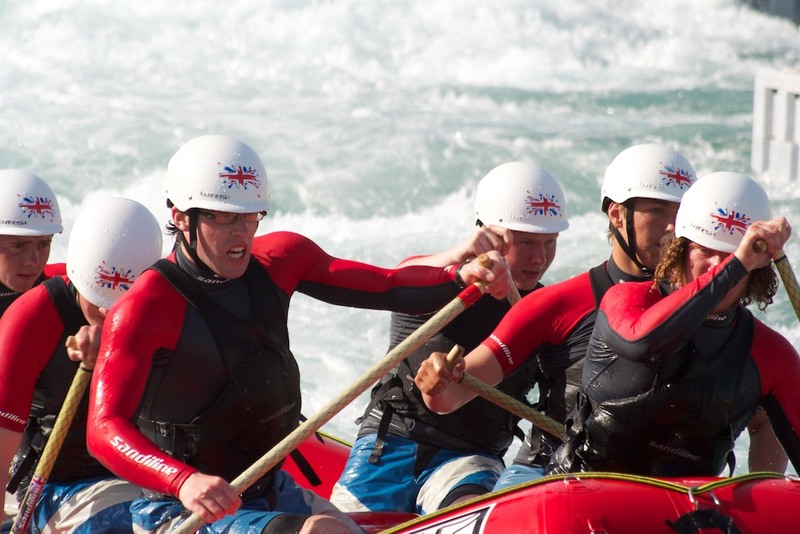 Matlock Canoe Club have had two such recognitions and both within the same family. 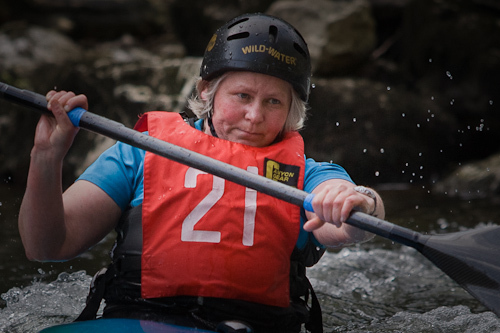 Donna Hawkins recently became the British Slalom Ladies Veteran 2011 whilst competing at Llandysul, South Wales. 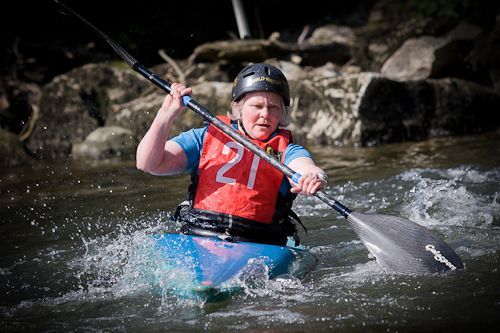 Ironically this event was first ever held on the river Derwent in Matlock..
Donna clinched the title in her second run after a poor start in windy conditions left her trailing the field. Her second run was quick with only one penalty picked up and clinching her the 2011 British Championship. Interviewing Donna recently in a local hostelry, I was pleased to learn that training diets did not discount a glass of real ale or two. Donna informed me that she has canoed from the age of 12 and continued to canoe with Swansea University then passing on the passion for paddling to her children who have also gone on to take trophies in the sport. Donna was keen to share with sportsshots that her son Stephen has just announced his selection for the GB Junior R6 Raft Team. The team train at Nottingham’s Holme Pier Point prior to visiting the world championships in Costa Rica in October this year hopefully returning with a medal. The team are currently seeking sponsorship to help fund the trip. Any interested sponsors wishing to assist are asked to contact the team (details below). 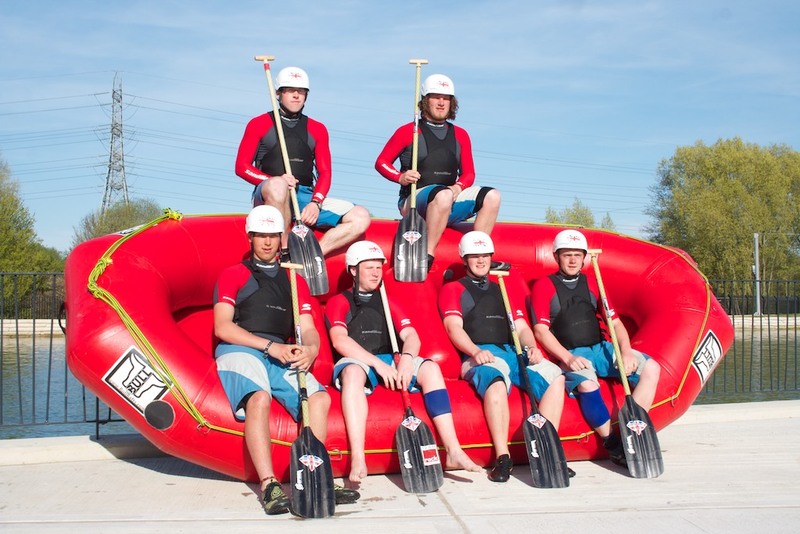 Stephen will be paddling with the Square Rock Raft Race Team and can be contacted via the link.